For other uses, see Decompression (disambiguation). Not to be confused with Decompression sickness. Decompression theory is the study and modelling of the transfer of the inert gas component of breathing gases from the gas in the lungs to the tissues of the diver and back during exposure to variations in ambient pressure. In the case of underwater diving and compressed air work, this mostly involves ambient pressures greater than the local surface pressure—but astronauts, high altitude mountaineers, and occupants of unpressurized aircraft, are exposed to ambient pressures less than standard sea level atmospheric pressure. In all cases, the symptoms of decompression sickness occur during or within a relatively short period of hours, or occasionally days, after a significant reduction of ambient pressure. The absorption of gases in liquids depends on the solubility of the specific gas in the specific liquid, the concentration of gas, customarily expressed as partial pressure, and temperature. The main variable in the study of decompression theory is pressure. Once dissolved, distribution of the dissolved gas may be by diffusion, where there is no bulk flow of the solvent, or by perfusion where the solvent (in this case blood) is circulated around the diver's body, where gas can diffuse to local regions of lower concentration. Given sufficient time at a specific partial pressure in the breathing gas, the concentration in the tissues stabilizes, or saturates, at a rate that depends on solubility, diffusion rate and perfusion, all of which vary in the different tissues of the body. This process is referred to as in-gassing, and is usually modeled as an inverse exponential process. If the concentration of the inert gas in the breathing gas is reduced below that of any of the tissues, there is a tendency for gas to return from the tissues to the breathing gas. This is known as out-gassing, and occurs during decompression, when the reduction in ambient pressure reduces the partial pressure of the inert gas in the lungs. This process may be complicated by the formation of gas bubbles, and the modeling is more complex and varied. The combined concentrations of gases in any given tissue depend on the history of pressure and gas composition. Under equilibrium conditions, the total concentration of dissolved gases is less than the ambient pressure—as oxygen is metabolized in the tissues, and the carbon dioxide produced is much more soluble. However, during a reduction in ambient pressure, the rate of pressure reduction may exceed the rate at which gas is eliminated by diffusion and perfusion. If the concentration gets too high, it may reach a stage where bubble formation can occur in the supersaturated tissues. When the pressure of gases in a bubble exceed the combined external pressures of ambient pressure and the surface tension of the bubble-liquid interface, the bubbles grow, and this growth can damage tissue. If the dissolved inert gases come out of solution within the tissues of the body and form bubbles, they may cause the condition known as decompression sickness, or DCS, also known as divers' disease, the bends or caisson disease. However, not all bubbles result in symptoms, and doppler bubble detection shows that venous bubbles are present in a significant number of asymptomatic divers after relatively mild hyperbaric exposures. Since bubbles can form in or migrate to any part of the body, DCS can produce many symptoms, and its effects may vary from joint pain and rashes to paralysis and death. Individual susceptibility can vary from day to day, and different individuals under the same conditions may be affected differently or not at all. The classification of types of DCS by its symptoms has evolved since its original description. The risk of decompression sickness after diving can be managed through effective decompression procedures and contracting it is now uncommon, though it remains to some degree unpredictable. Its potential severity has driven much research to prevent it and divers almost universally use decompression tables or dive computers to limit or monitor their exposure and to control their ascent speed and decompression procedures. If DCS is contracted, it is usually treated by hyperbaric oxygen therapy in a recompression chamber. If treated early, there is a significantly higher chance of successful recovery. A diver who only breathes gas at atmospheric pressure when free-diving or snorkelling will not usually need to decompress but it is possible to get decompression sickness, or taravana, from repetitive deep free-diving with short surface intervals. Actual rates of diffusion and perfusion, and solubility of gases in specific physiological tissues are not generally known, and vary considerably. However mathematical models have been proposed that approximate the real situation to a greater or lesser extent. These models predict whether symptomatic bubble formation is likely to occur for a given dive profile. Algorithms based on these models produce decompression tables. In personal dive computers, they produce a real-time estimate of decompression status and display it for the diver. Two different concepts have been used for decompression modelling. The first assumes that dissolved gas is eliminated while in the dissolved phase, and that bubbles are not formed during asymptomatic decompression. The second, which is supported by experimental observation, assumes that bubbles are formed during most asymptomatic decompressions, and that gas elimination must consider both dissolved and bubble phases. Early decompression models tended to use the dissolved phase models, and adjusted them by factors derived from experimental observations to reduce the risk of symptomatic bubble formation. There are two main groups of dissolved phase models: In parallel compartment models, several compartments with varying rates of gas absorption (half time), are considered to exist independently of each other, and the limiting condition is controlled by the compartment that shows the worst case for a specific exposure profile. These compartments represent conceptual tissues and don't represent specific organic tissues. They merely represent the range of possibilities for the organic tissues. The second group uses serial compartments, which assumes that gas diffuses through one compartment before it reaches the next. More recent models attempt to model bubble dynamics, also usually by simplified models, to facilitate the computation of tables, and later to allow real time predictions during a dive. Models that approximate bubble dynamics are varied. They range from those that are not much more complex than the dissolved phase models, to those that require considerably greater computational power. The practice of decompression by divers comprises the planning and monitoring of the profile indicated by the algorithms or tables of the chosen decompression model, the equipment available and appropriate to the circumstances of the dive, and the procedures authorized for the equipment and profile to be used. There is a large range of options in all of these aspects. In many cases decompression practice takes place in a framework or "decompression system" which imposes extra constraints on diver behaviour. Such constraints may include: limiting the ascent rate; making stops during the ascent additional to any decompression stops; limiting the number of dives performed in a day; limiting the number of days of diving within a week; avoiding dive profiles that have large numbers of ascents and descents; avoiding heavy work immediately after a dive; not diving prior to flying or ascending to altitude; and organizational requirements. Decompression may be continuous or staged, where the ascent is interrupted by stops at regular depth intervals, but the entire ascent is part of the decompression, and ascent rate can be critical to harmless elimination of inert gas. What is commonly known as no-decompression diving, or more accurately no-stop decompression, relies on limiting ascent rate for avoidance of excessive bubble formation. The procedures used for decompression depend on the mode of diving, the available equipment, the site and environment and the actual dive profile. Standardized procedures have been developed that provide an acceptable level of risk in appropriate circumstances. Different sets of procedures are used by commercial, military, scientific and recreational divers, though there is considerable overlap where similar equipment is used, and some concepts are common to all decompression procedures. 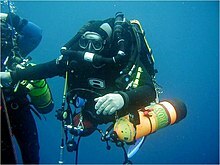 Normal diving decompression procedures range from continuous ascent for no-stop dives, where the necessary decompression occurs during the ascent, which is kept to a controlled rate for this purpose, through staged decompression in open water or in a bell, to decompression from saturation, which generally occurs in a decompression chamber that is part of a saturation system. Decompression may be accelerated by the use of breathing gases that provide an increased concentration differential of the inert gas components of the breathing mixture by maximizing the acceptable oxygen content. Therapeutic recompression is a medical procedure for treatment of decompression sickness, and is followed by decompression, usually to a relatively conservative schedule. supplied in the chamber at the surface. The symptoms of decompression sickness are caused by damage from the formation and growth of bubbles of inert gas within the tissues and by blockage of arterial blood supply to tissues by gas bubbles and other emboli consequential to bubble formation and tissue damage. The precise mechanisms of bubble formation and the damage they cause has been the subject of medical research for a considerable time and several hypotheses have been advanced and tested. Tables and algorithms for predicting the outcome of decompression schedules for specified hyperbaric exposures have been proposed, tested, and used, and usually found to be of some use but not entirely reliable. Decompression remains a procedure with some risk, but this has been reduced and is generally considered acceptable for dives within the well-tested range of commercial, military and recreational diving. 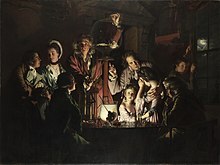 The first recorded experimental work related to decompression was conducted by Robert Boyle, who subjected experimental animals to reduced ambient pressure by use of a primitive vacuum pump. In the earliest experiments the subjects died from asphyxiation, but in later experiments signs of what was later to become known as decompression sickness were observed. Later, when technological advances allowed the use of pressurization of mines and caissons to exclude water ingress, miners were observed to present symptoms of what would become known as caisson disease, compressed air illness, the bends, and decompression sickness. Once it was recognized that the symptoms were caused by gas bubbles, and that re-compression could relieve the symptoms, Paul Bert showed in 1878 that decompression sickness is caused by nitrogen bubbles released from tissues and blood during or after decompression, and showed the advantages of breathing oxygen after developing decompression sickness. Further work showed that it was possible to avoid symptoms by slow decompression, and subsequently various theoretical models have been derived to predict safe decompression profiles and treatment of decompression sickness. In 1908 John Scott Haldane prepared the first recognized decompression table for the British Admiralty, based on extensive experiments on goats using an end point of symptomatic DCS. The Naval School, Diving and Salvage was re-established at the Washington Navy Yard in 1927, and the Navy Experimental Diving Unit (NEDU) was moved to the same venue. 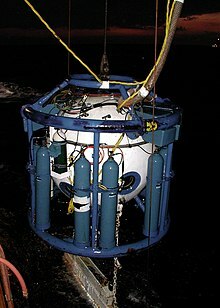 In the following years, the Experimental Diving Unit developed the US Navy Air Decompression Tables, which became the accepted world standard for diving with compressed air. During the 1930s, Hawkins, Schilling and Hansen conducted extensive experimental dives to determine allowable supersaturation ratios for different tissue compartments for Haldanean model, Albert R. Behnke and others experimented with oxygen for re-compression therapy, and the US Navy 1937 tables were published. In 1941, altitude decompression sickness was first treated with hyperbaric oxygen. and the revised US Navy Decompression Tables were published in 1956. In 1965 LeMessurier and Hills published A thermodynamic approach arising from a study on Torres Strait diving techniques, which suggests that decompression by conventional models forms bubbles that are then eliminated by re-dissolving at the decompression stops—which is slower than elimination while still in solution. This indicates the importance of minimizing bubble phase for efficient gas elimination, Groupe d'Etudes et Recherches Sous-marines published the French Navy MN65 decompression tables, and Goodman and Workman introduced re-compression tables using oxygen to accelerate elimination of inert gas. The Royal Navy Physiological Laboratory published tables based on Hempleman's tissue slab diffusion model in 1972, isobaric counterdiffusion in subjects who breathed one inert gas mixture while being surrounded by another was first described by Graves, Idicula, Lambertsen, and Quinn in 1973, and the French government published the MT74 Tables du Ministère du Travail in 1974. From 1976, decompression sickness testing sensitivity was improved by ultrasonic methods that can detect mobile venous bubbles before symptoms of DCS become apparent. Paul K Weathersby, Louis D Homer and Edward T Flynn introduced survival analysis into the study of decompression sickness in 1982. Albert A. Bühlmann published Decompression–Decompression sickness in 1984. Bühlmann recognized the problems associated with altitude diving, and proposed a method that calculated maximum nitrogen loading in the tissues at a particular ambient pressure by modifying Haldane's allowable supersaturation ratios to increase linearly with depth. In 1984 DCIEM (Defence and Civil Institution of Environmental Medicine, Canada) released No-Decompression and Decompression Tables based on the Kidd/Stubbs serial compartment model and extensive ultrasonic testing, and Edward D. Thalmann published the USN E-L algorithm and tables for constant PO2 Nitrox closed circuit rebreather applications, and extended use of the E-L model for constant PO2 Heliox CCR in 1985. The E-L model may be interpreted as a bubble model. The 1986 Swiss Sport Diving Tables were based on the Haldanean Bühlmann model, as were the 1987 SAA Bühlmann tables in the UK. D. E. Yount and D. C. Hoffman proposed a bubble model in 1986, and the BSAC'88 tables were based on Hennessy's bubble model. The 1990 DCIEM sport diving tables were based on fitting experimental data, rather than a physiological model, and the 1990 French Navy Marine Nationale 90 (MN90) decompression tables were a development of the earlier Haldanean model of the MN65 tables. In 1991 D.E. Yount described a development of his earlier bubble model, the Varied Permeability Model, and the 1992 French civilian Tables du Ministère du Travail (MT92) also have a bubble model interpretation. NAUI published Trimix and Nitrox tables based on the Wienke reduced gradient bubble model (RGBM) model in 1999, followed by recreational air tables based on the RGBM model in 2001. In 2007, Wayne Gerth and David Doolette published VVal 18 and VVal 18M parameter sets for tables and programs based on the Thalmann E-L algorithm, and produce an internally compatible set of decompression tables for open circuit and CCR on air and Nitrox, including in water air/oxygen decompression and surface decompression on oxygen. 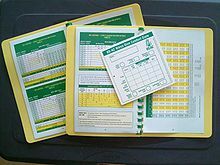 In 2008, the US Navy Diving Manual Revision 6 included a version of the 2007 tables developed by Gerth and Doolette. ^ Van Liew, HD; Conkin, J (14–16 June 2007). "A start toward micronucleus-based decompression models:Altitude decompression". Bethesda, Maryland: Undersea and Hyperbaric Medical Society, Inc. Retrieved 28 March 2016. ^ Brown, J. R.; Antuñano, Melchor J. "Altitude-induced Decompression Sickness" (PDF). AM-400-95/2 Medical Facts for Pilots. Washington, DC: Federal Aviation Administration. Retrieved 21 February 2012. ^ Young, C. L.; Battino, R.; Clever, H. L. (1982). "The solubility of gases in liquids" (PDF). Retrieved 9 February 2016. ^ John W. Hill, Ralph H. Petrucci, General Chemistry, 2nd edition, Prentice Hall, 1999. ^ P. Cohen, ed. (1989). The ASME handbook on Water Technology for Thermal Power Systems. New York City: The American Society of Mechanical Engineers. p. 442. ^ a b c Thalmann, Edward D. (April 2004). "Decompression Illness: What is it and what is the treatment?". DAN Medical articles. Durham, North Carolina: Divers Alert Network. Retrieved 13 March 2016. ^ Wong, R. M. (1999). "Taravana revisited: Decompression illness after breath-hold diving". South Pacific Underwater Medicine Society Journal. Melbourne, Victoria: SPUMS. 29 (3). ISSN 0813-1988. OCLC 16986801. Retrieved 2008-04-08. ^ Lang, M.A. ; Hamilton, Jr R.W. (1989). Proceedings of the AAUS Dive Computer Workshop. United States: USC Catalina Marine Science Center. p. 231. Retrieved 7 August 2008. ^ a b Møllerløkken, Andreas (24 August 2011). Blogg, S. Lesley; Lang, Michael A.; Møllerløkken, Andreas, eds. "Proceedings of Validation of Dive Computers Workshop". Gdansk, Poland: European Underwater and Baromedical Society. Retrieved 3 March 2016. ^ Cole, Bob (March 2008). "4. Diver Behaviour". The SAA Buhlmann Deep-Stop System Handbook. Liverpool, UK: Sub-Aqua Association. ISBN 978-0953290482. ^ a b Bühlmann Albert A. (1984). Decompression–Decompression Sickness. Berlin and New York: Springer-Verlag. ISBN 978-0-387-13308-9. ^ a b Boycott, AE; Damant, GCC; Haldane, John Scott (1908). "Prevention of compressed air illness". Journal of Hygiene. 8 (3): 342–443. doi:10.1017/S0022172400003399. PMC 2167126. PMID 20474365. Retrieved 30 May 2010. ^ Latson, Gary (December 2000). "Accelerated decompression using oxygen for submarine rescue - Summary report and operational guidance". Navy Experimental Diving Unit. Retrieved 3 March 2016. ^ a b Huggins, K. E. (2012). Blogg, S. L.; Lang, M. A.; Møllerløkken, A., eds. "Dive Computer Considerations: How dive computers work". Proceedings of the Validation of Dive Computer Workshop. Trondheim: Norwegian University of Science and Technology and the Norwegian Labour Inspection Authority. Retrieved 6 March 2016. Convened by the Baromedical and Environmental Physiology Group of NTNU on August 24, 2011, at the 37th Annual Meeting of the European Underwater and Baromedical Society in Gdansk, Poland. ^ a b c Staff (2015). "BSAC Safe Diving". Ellesmere Port, Cheshire: British Sub-Aqua Club. Archived from the original on 3 April 2012. Retrieved 6 March 2016. ^ Ackles, KN (1973). "Blood-Bubble Interaction in Decompression Sickness". Defence R&D Canada (DRDC) Technical Report. Downsview, Ontario: Defence and Civil Institute of Environmental Medicine. DCIEM-73-CP-960. Retrieved 12 March 2016. ^ Vann, Richard D, ed. (1989). The Physiological Basis of Decompression. 38th Undersea and Hyperbaric Medical Society Workshop. 75(Phys)6–1–89. Undersea and Hyperbaric Medical Society. p. 437. Retrieved 16 February 2019. ^ Papadopoulou, Virginie; Eckersley, Robert J.; Balestra, Costantino; Karapantsios, Thodoris D.; Tang, Meng-Xing (May 2013). "A critical review of physiological bubble formation in hyperbaric decompression". Advances in Colloid and Interface Science. Amsterdam: Elsevier B.V. 191–192: 22–30. doi:10.1016/j.cis.2013.02.002. hdl:10044/1/31585. PMID 23523006. ^ a b c d e f g Acott, C. (1999). "A brief history of diving and decompression illness". South Pacific Underwater Medicine Society Journal. Melbourne, Victoria: SPUMS. 29 (2). ISSN 0813-1988. OCLC 16986801. Retrieved 2012-01-10. ^ Butler, WP (2004). "Caisson disease during the construction of the Eads and Brooklyn Bridges: A review". Undersea and Hyperbaric Medicine. 31 (4): 445–59. PMID 15686275. Retrieved 2012-01-10. ^ a b Hill, Leonard Erskine (1912). Caisson sickness, and the physiology of work in compressed air. London, UK: E. Arnold. Retrieved 2011-10-31. ^ Zuntz, N. (1897). "Zur Pathogenese und Therapie der durch rasche Luftdruck-änderungen erzeugten Krankheiten". Fortschritte der Medizin (in German). 15: 532–639. ^ Stillson, GD (1915). "Report in Deep Diving Tests". US Bureau of Construction and Repair, Navy Department. Technical Report. Retrieved 2008-08-06. ^ Staff, US Navy (15 August 2016). "Diving in the U.S. Navy: A Brief History". Naval History and Heritage Command website. Washington, DC: Naval History and Heritage Command. Retrieved 21 November 2016. ^ Davis Jefferson C, Sheffield Paul J, Schuknecht L, Heimbach RD, Dunn JM, Douglas G, Anderson GK (August 1977). "Altitude decompression sickness: hyperbaric therapy results in 145 cases". Aviation, Space, and Environmental Medicine. 48 (8): 722–30. PMID 889546. ^ LeMessurier, D. Hugh; Hills, Brian Andrew (1965). "Decompression Sickness. A thermodynamic approach arising from a study on Torres Strait diving techniques". Hvalradets Skrifter (48): 54–84. ^ Hills, BA (1978). "A fundamental approach to the prevention of decompression sickness". South Pacific Underwater Medicine Society Journal. Melbourne, Victoria: SPUMS. 8 (2). Retrieved 2012-01-10. ^ How, J.; West, D.; Edmonds, C. (June 1976). "Decompression sickness and diving". Singapore Medical Journal. Singapore: Singapore Medical Association. 17 (2). ^ Goodman, MW; Workman, RD (1965). "Minimal-recompression, oxygen-breathing approach to treatment of decompression sickness in divers and aviators". United States Navy Experimental Diving Unit Technical Report. NEDU-RR-5-65. Retrieved 2012-01-10. ^ Graves, DJ; Idicula, J; Lambertsen, C J; Quinn, J A (9 February 1973). "Bubble formation in physical and biological systems: a manifestation of counterdiffusion in composite media". Science. Washington, DC: American Association for the Advancement of Science. 179 (4073): 582–584. doi:10.1126/science.179.4073.582. PMID 4686464. Retrieved 10 January 2010. ^ Graves, DJ; Idicula, J; Lambertsen, Christian J; Quinn, J A (March 1973). "Bubble formation resulting from counterdiffusion supersaturation: a possible explanation for isobaric inert gas 'urticaria' and vertigo". Physics in Medicine and Biology. Bristol, UK: IOP Publishing. 18 (2): 256–264. CiteSeerX 10.1.1.555.429. doi:10.1088/0031-9155/18/2/009. PMID 4805115. ^ Spencer MP (February 1976). "Decompression limits for compressed air determined by ultrasonically detected blood bubbles". Journal of Applied Physiology. 40 (2): 229–35. doi:10.1152/jappl.1976.40.2.229. PMID 1249001. Retrieved 2012-01-10. ^ Weathersby, Paul K; Homer, Louis D; Flynn, Edward T (September 1984). "On the likelihood of decompression sickness". Journal of Applied Physiology. 57 (3): 815–25. doi:10.1152/jappl.1984.57.3.815. PMID 6490468. Retrieved 2009-04-27. ^ a b Powell, Mark (2008). Deco for Divers. Southend-on-Sea: Aquapress. pp. 17–18. ISBN 978-1-905492-07-7. ^ Trucco, Jean-Noël; Biard, Jef; Redureau, Jean-Yves; Fauvel, Yvon (1999). "Table Marine National 90 (MN90), Version du 3 May 1999" (PDF) (in French). F.F.E.S.S.M. Comité interrégional Bretagne & Pays de la Loire; Commission Technique Régionale. Archived from the original (PDF) on 10 May 2013. Retrieved 4 March 2016. ^ Travaux en Milieu Hyperbare. Mesures particulières de prévention. Fascicule no 1636. Imprimerie du Journal Officiel, 26 rue Desaix, 75732 Paris cedex 15. ISBN 2-11-073322-5. ^ Wienke, Bruce R; O'Leary, Timothy R. (2001). "Full Up Phase Model Decompression Tables". Advanced diver magazine. Advanced diver magazine. Retrieved 4 March 2016. ^ "Decompression Diving". Divetable.de. Retrieved 17 July 2012. ^ Gerth, WA; Doolette, DJ (2007). "VVal-18 and VVal-18M Thalmann Algorithm Air Decompression Tables and Procedures". United States Navy Experimental Diving Unit Technical Report. Retrieved 2016-01-06. Brubakk, A. O.; Neuman, T. S. (2003). Bennett and Elliott's physiology and medicine of diving (5th Revised ed.). United States: Saunders. ISBN 978-0-7020-2571-6. Gerth, Wayne A; Doolette, David J. (2007). "VVal-18 and VVal-18M Thalmann Algorithm – Air Decompression Tables and Procedures". Navy Experimental Diving Unit, TA 01-07, NEDU TR 07-09. Retrieved 2012-01-27. Lippmann, John (1990). Deeper into Diving (1st ed.). Melbourne, Australia: J L Publications. ISBN 978-0-9590306-3-1. Parker, E. C.; Survanshi, S. S.; Weathersby, P. K.; Thalmann, E. D. (1992). "Statistically Based Decompression Tables VIII: Linear Exponential Kinetics". Naval Medical Research Institute Report. 92–73. Retrieved 2008-03-16. Thalmann, E. D. (1984). "Phase II testing of decompression algorithms for use in the U.S. Navy underwater decompression computer". Navy Exp. Diving Unit Res. Report. 1–84. Retrieved 2008-03-16. Thalmann, E. D. (1985). "Development of a Decompression Algorithm for Constant Oxygen Partial Pressure in Helium Diving". Navy Exp. Diving Unit Res. Report. 1–85. Retrieved 2008-03-16. Yount, D. E. (1991). Hans-Jurgen, K.; Harper Jr, D. E., eds. Gelatin, bubbles, and the bends. Proceedings of the American Academy of Underwater Sciences Eleventh Annual Scientific Diving Symposium held 25–30 September 1991. University of Hawaii. (Report). Honolulu, Hawaii: International Pacifica Scientific Diving. Retrieved 2012-01-25. Gribble, M. de G. (1960); "A Comparison of the High-Altitude and High-Pressure Syndromes of Decompression Sickness", Br. J. Ind. Med., 1960, 17, 181. Hills. B. (1966); A Thermodynamic and Kinetic Approach to Decompression Sickness. Thesis. Lippmann, John; Mitchell, Simon (2005). Deeper into Diving (2nd ed.). Melbourne, Australia: J L Publications. Section 2, chapters 13–24, pages 181–350. ISBN 978-0-9752290-1-9. Wikimedia Commons has media related to Decompression (diving). This page was last edited on 16 March 2019, at 03:18 (UTC).